More of a traditional affair! If you've already had a mosey about my website, then you will definitely see that the wedding stationery I do is that bit edgier, quirkier and more modern than others... This doesn't rule out doing 'traditional' style wedding invitions however, which I have had the pleasure in doing in the past. As you may or may not know, letterpress is a printing process that dates back over 500 years now, and was originally invented and used in order to print such things as newspapers and books. Can you imagine that now? Everything would be even more expensive than it is already and it might take that bit longer to find out what's going on in the world today (maybe not a bad thing!) The point being though, is that letterpress was used to print 'traditional' things back then and not decorative pieces such as wedding stationery as it is today. The method of printing is exactly the same, but the end product has changed so much over the years. 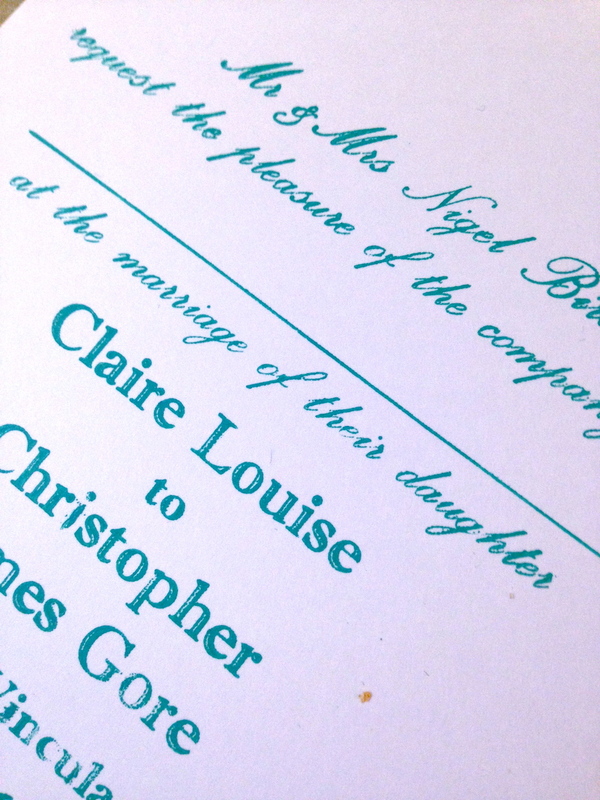 Letterpress is now considered a luxury, where as before it is was the norm and only form in which to produce things. 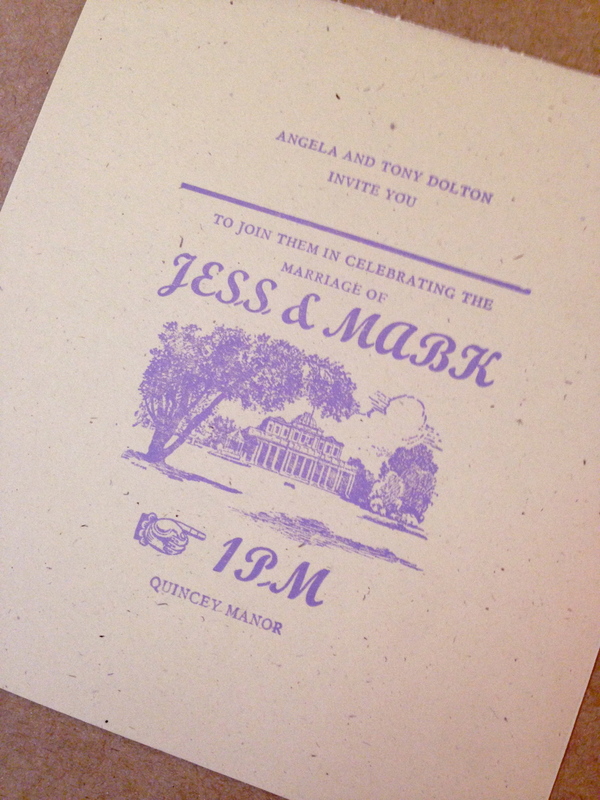 Thus, by way of process, even if the design of your invitations are leaning towards a more modern look, the printing and feel to them will always be of a classic nature. I like to explore different ways of printing, formatting and use of type, but I think it's also very important to understand and appreciate the more traditional aspects of letterpress. I've done a lot of 'bold' stuff in the past- whether it's using big, huge letters or indeed printing in fluorescent colours. And then I've also done more of a classic style invitation to suit the couple's needs and wants- after all everything that I do is totally bespoke, so if you don't want a big unicorn on the front of your order of services, I promise I'll try and leave it out! And the beauty of letterpress is that is goes hand in hand with authentic, traditional styles as much as it works well with a more contemporary vibe too. Please have a little look at the more conventional but ever beautiful samples below and don't hesitate to get in touch with any questions you may have. 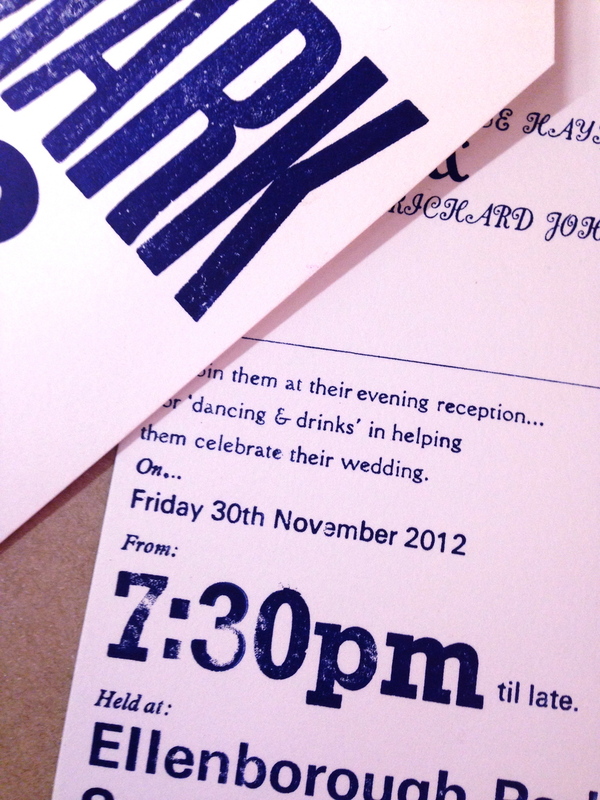 As you can see in the last image for example, I can design the invitations to incorporate both worlds- so have them a little on the modern side mixed with some more traditional type. Remember, whatever style of design you decide to go for, letterpress stationery will always have that vintage feel due to the process itself and the wonderful craft that goes into such products. Newer PostThe Cotswold Vintage Scoop.